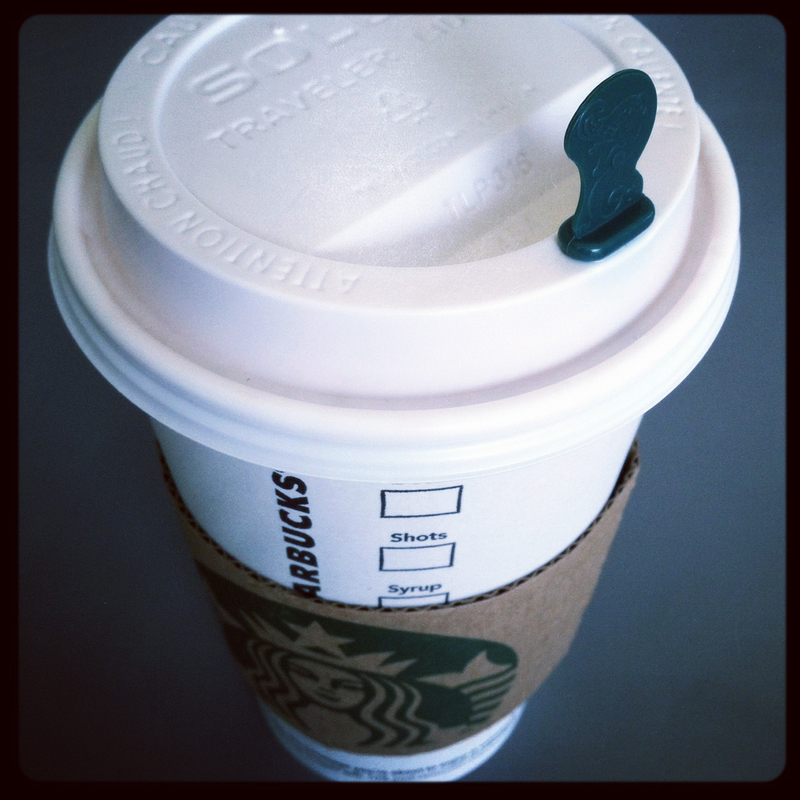 Sometimes, you have a morning that requires coffee. You need it. Maybe it's chilly outside or you're super tired and you just know it will make you feel a little bit better. I needed this cup of coffee. It ended up being free. And it totally made my day. Yesterday, the woman in front of me in the drive-thru payed it forward and treated me (and a few cars behind me) to a free cup of coffee. So cool. I've never been the recipient of a pay-it-forward-type situation, but I knew I wanted to do something nice for someone else right away. 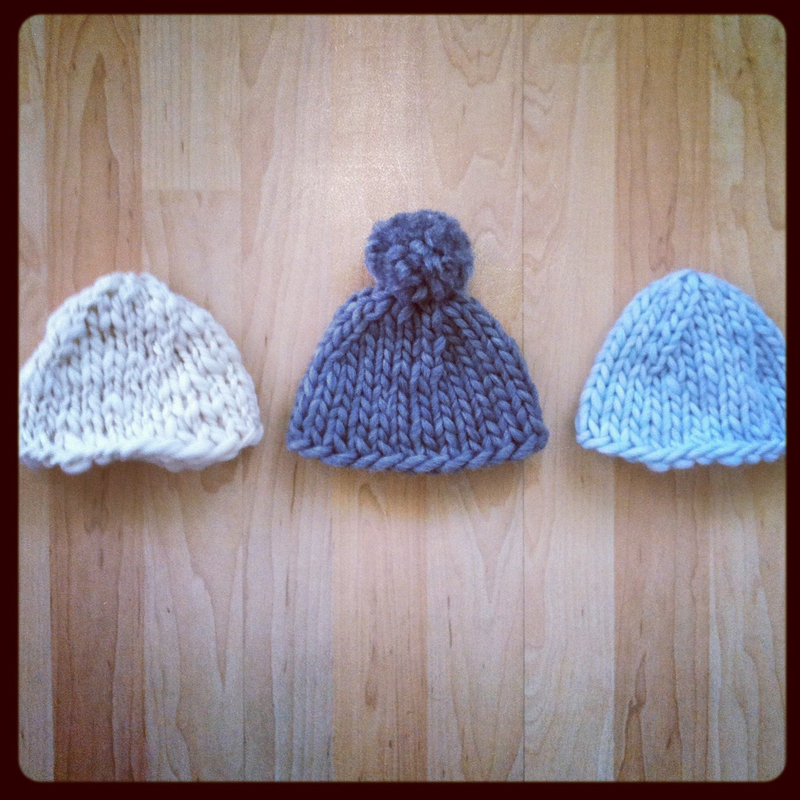 So I'm giving away these three hand-knit newborn hats. Aww, Jen - that's really sweet! Definitely inspires me to pay it forward. I'm too late for a hat, but I'll be thinking up my own way to "crochet it forward". thanks for a happy post. Love this! The grey is my fave - and I will definitely pay it forward. I've got a little nugget on the way, due the first week of June and I just know my babe would love a hat! i love this idea and, regardless of whether i win, i'm going to do that next time i'm in the starbuck's drive-thru--what better way to make your own day than make someone else's? i love all three hats--any of them would be so sweet on my little one's head due in a couple months. I love the gray one- my little one is due in October so it's perfect. I love the pompom one. So cute. I recently got a free skein and would love to make someone's day with it. These are so cute! I'm due in the end of July--love the cream. Also, I love, loved your recent posts about parenting (advice and your daughter's reaction to being a big sis). I worry all the time about how my 4-year-old boy will react to his new sis. I hope things get a little easier for your girl very soon. So cute! What a great idea. I have a friend due in a few weeks and I could definitely pass this on to her. The cream one would be perfect. They are so perfect for a tiny little head. Cozy and warm. I have a few friends who are pregnant and I would love to pass it along to any one of them. i love the cream little hat! i'm due in October and I just know it would be adorable on our little bean! They are all cute...but I love the gray one! When I worked at Starbucks we had a whole morning of pay it forward. Many people were taken off guard. It was pretty cool to see it go on for a few hours uninterrupted.